You can have gentle, experienced care with Brooklyn-based gynecologist Lyudmila Trubetsky, PA. As a Physician Assistant (PA), she’s been treating women since 2003. 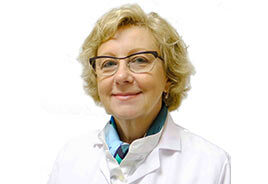 At the Century Medical and Dental Center, she plays an integral role in a team of experts all under one roof. As a gynecologist, she takes great care of pregnant women, always putting the safety of mother and child first. For example, she gives pregnant women instructions about how to get through their pregnancy smoothly. She also provides delivery services to women. Ms. Trubetsky completed her Bachelors of Applied Sciences at Pace University in 2000. She then earned her license as a Certified Physician Assistant at the National Commission on Certification of Physician Assistants. She works to remain current in the ongoing medical advances in obstetrical and gynecological medicine. At the Century Medical and Dental Center in Brooklyn, she works with a team of medical professionals to better help you reach your full health potential. For women having gynecological problems, reach out to Ms. Trubetsky. She can find what’s wrong and treat it successfully.